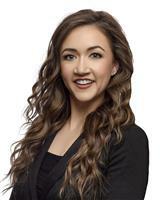 I was a first time home buyer and Elyse was extremely helpful, diligent and professional throughout the entire process. I had a very specific request and Elyse narrowed my search rapidly and was able to predict which home I would want even before seeing the house. I couldn't be happier with how things went and would certainly ask Elyse to be my agent again and would not hesitate to recommend her to anyone looking for a home. Elyse was the reason I found my perfect home. She found several beautiful houses to look at and took all of the guesswork and stress out of trying to find the right home. She was fast, formal and courteous. She made one of the most important and hardest decisions of my life much easier. Looking for our second home to expand our family, Elyse walked with us on choosing the perfect home. The whole time we were looking at homes she was right beside us making the process easy. At the same time we were looking for our new family home, Elyse was hard at work selling our starter home. The amount of effort that Elyse put into selling our home and finding a new one was priceless. Not once was there pressure to buy a house we were viewing and the whole time we looked we felt supported. Already I have referred Elyse to many people because of how she made a huge experience into a seamless adventure to buying our new house. We were referred to Elyse through my husband’s co-worker who had nothing but good things to say about her professional and personal style. We were very happy with Elyse as our Real Estate Agent. She took the time to figure out each of our priorities and patiently helped us find the home we both would be happy with. She was very helpful and welcoming, as we are new residents to the area, and provided us with information and contacts to various services. We would definitely recommend her! We first called Elyse 3 years ago because we knew her growing up. We stuck with her because she listened well to what we wanted and continued to provide us with options, but was never pushy. Even though there was certain informality because we had known her, she still carried out the business end of things in a very professional manner. The perfect combo! Prior to meeting Elyse, I had been searching for a home for more than a year with various agents. Elyse had listened to the things that I wanted to have in a house. She had helped me understand the residential housing market and helped me find a house that was within my budget. During the buying process, Elyse had shown me several houses but never pressured me into buying a property that was not suited for myself. Unlike the other agents, Elyse took the time to understand my needs which was appreciated.